I don't know a lot about the site and the existing planning issues. This prodject brings up the struggle of how to approach the road (exposed parking in the front rather than the rear). I still am really digging it, as is. More critisisms...the end units...why not give them more glass? And, the roofs... activate them. This is a leap for Charlotte's current construction arch. quality. (except for maybe the new freelon building). I really am curious on why they couldn't of added rooftop decks to each unit but at the end of the day, the project looks really interesting. Hopefully it will bring more green developments. This is a fantastic project. I previewed them yesterday. Granted, a handful of "why didn't they..." type questions will accompany any development. The balance between amenities and affordability is always difficult. That being said, the amenities are top shelf. The attention to detail, quality materials and design is laudable. This is not a Pulte townhome, thank God. This project will succeed and hopefully serve as a new business model for more progressive architects and developers. 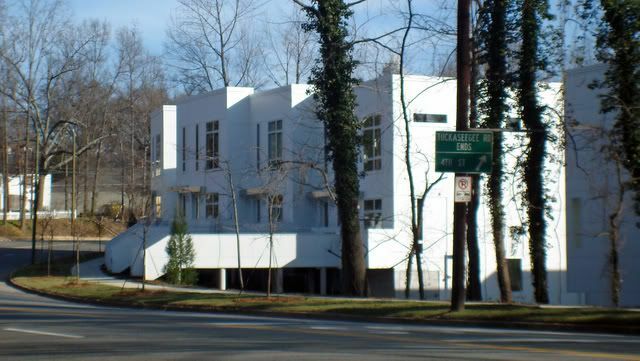 You've just described every David Furman townhome uptown (and in Dilworth). Skyline Terrace, Dilworth Gardens, M Street, etc...we jokingly refer to them as "The Staircases". That's true. I didn't even think about those. I guess I haven't looked at those in a while. I wonder how much these will run for. I'm looking to move closer to uptown but I don't really plan on living inside the loop. Has Celadon broken ground yet? Also, does anyone have any information on its completion date and sq. footage of the units? What's the total cost of the project? ^ Thanks for the info. They definitely have some quality stuff going on there. Talked to a developer today. They have not broken ground yet. They haven't even received their permits yet. He said they expect to get them and start moving dirt at the end of July and that it would take about a year from then to complete all of the units. I don't recall the square footage of the 1 BR's, but the 2 BR's start at around 1200 sq. feet and the 3 BR's were something like 2200 sq. feet. I was surprised at how many trees were taken down. I thought more were being preserved than what I saw when I drove by. Only 20-25%? That's not very much. I noticed that Celadon has been issued their building permits recently so we should start to see the structure going up soon if they havnt started already. I found some interior pictures showing the finishes of Celadon--pretty cool, looks way better than anything else I've been able to find. If anyone has other suggestions on modern condos in Charlotte, would appreciate any advice. I've been inside these after they finished. Very nice. Non-brand name but pretty high quality finishes. The layout is awesome and the livability is amazing. If they were anywhere else in town, they'd be sold out. Too bad they weren't in Southend, I would have much much much much much rather have seen these instead of the Ryan Homes project. ^^ Try Metro 10. There's a thread around here somewhere. ^ IKEA will handle that pretty handily. Metro10 West is in 3rd Ward. They are much more hideous, and presumably less environmentally friendly. They are similarly modern in appearance. The Decktowns at Southborough and the flats at Steelhaus. Both uber modern, although not as green as James' Celadon. I'd go on about them, but that would be marketting wouldn't it? Finally got to take a look at Celadon, and they are incredible. Finishes like you'd find in LA, MIA or NYC. Nothing like it in Charlotte--gas cooktops, built-in wall ovens, etc. I'm seriously considering one of their 3 bedroom units on the Greenway--fantastic view, all trees, etc. I ran into some of the current owners, and they are super happy with Celadon. 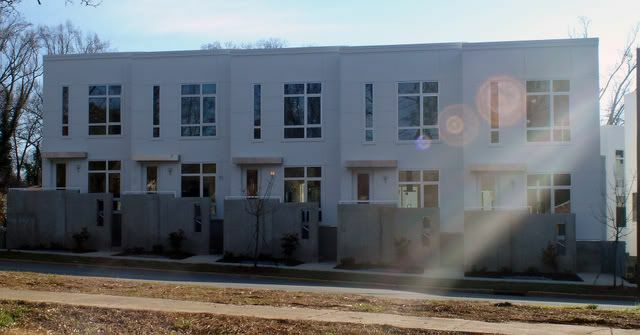 Most of the units are sold, but there are a few left.